I honestly never thought the day would come, but it seems that recent poor health has forced Paul’s hand and he is calling it a day on what can only be described as a truly remarkable career. 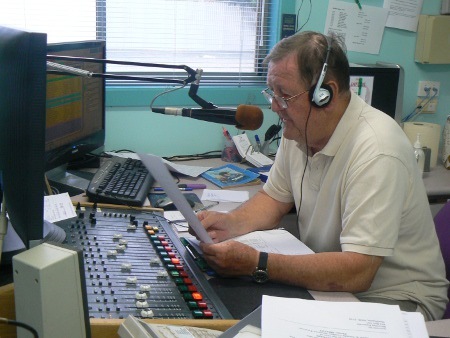 For a tad over 51 years (the 51st anniversary of Paul’s arrival in Deni was in March of this year, not last year as reported by The Weekly Times), Paul has been the breakfast host at radio 2QN in Deniliquin. 51 years in any job is remarkable, but even more remarkable in the radio industry where many people don’t stay for 51 weeks in the same job, let alone years. Unfortunately Paul’s health has not been the best in recent times and he has been forced to give up the regular 3:30am alarm. Paul is currently on sick leave but I gather that he is expected back on the air before he does retire, and I personally wonder if his retirement will be a full retirement, or if he might continue to do some radio work either on a fill-in basis or perhaps continue to do his pre-recorded Sunday breakfast show. Paul is currently the longest-serving host of a single show in Australian radio. I don’t think it’s a record which will be beaten any time soon, and it’s safe to say that Deni won’t quite be the same place in the morning without Dixie’s dulcet tones greeting the town each morning. At this stage I don’t have a definitive date for Paul’s retirement, but I will let you know as soon as I know. I’m sure there will be a lot of people who will want to wish Paul good health and good retirement between now and then. I had the great pleasure of interviewing Paul on Samuel’s Persiflage in 2011 about his experiences in radio and his memories of Deni, among other things. More importantly I had the honour of working with Paul on a number of occasions through 2008 and 2009, and learned a lot from him. It will be very sad to see him leave radio, but if it helps with his health, then I wish him all the best. Really sorry to read of Paul’s coming retirement. Will keep this brief as my RSI (right wrist) is not good at present. I just realized that Dixie & I arrived in Deni within 6 to 8 weeks of each other. I think it was Friday 19th of January 1962 that I arrived. First two weeks I stayed at The Globe Hotel; across the road from the P.O. I was a Trainee Telecomm Tech, & we worked out of the Carrier Room etc; behind the Post Office & Manual Exchange. When you are in contact with him, please pass on my warm regards, thanks for all those years of faithfully serving the Deni Community in such a sacrificial way, & I wish him & his family the very best in the future.